Ok, I’m admitting it, I abuse my potholders. I wash them and all, but everyone of them has been burned, spilled on, and knowing my family, has most likely been used for non-cooking purposes. Really, there is no excuse for my potholders. So I’m taking a break from my appliqué deadline project to clean up my potholder situation. Now I have the specialty thermo batting, but how many layers do you normally use? Do I really need those loops in the corner? 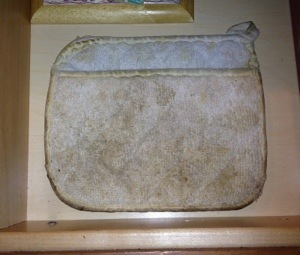 Is square really the best shape for a potholder? 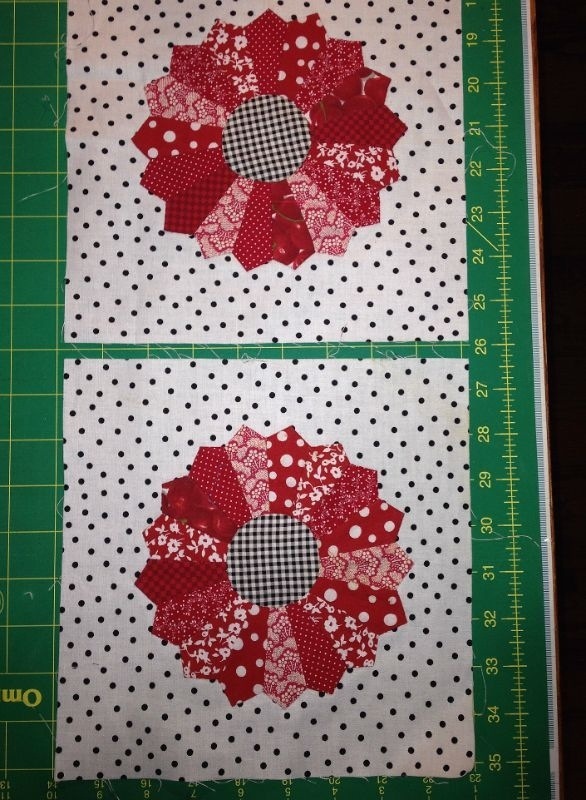 Should I make more of these blocks and turn it into a mini quilt? Oh my, this is so stressful….Now I know why my potholders look like they do! Those are so pretty I’d have a hard time using them! I burn my potholders all the time. Gimme some cheapies….. I love your blocks. Dresdens are so pretty. I make my potholders with scraps so they are very colorful. I use one layer of Insul-Brite and one layer of 100% cotton batting in my potholders. I put the Insul-Brite on the bottom. Loops are easy to make just by looping extra binding up. Have fun. Don’t waste such pretty blocks on potholders!